Accommodating Large Breeds: Is This the Right Dog for You? Dogs are the most loving, fun, loyal and best to cuddle of all pets. By applying mathematical theory, it follows that the bigger the dog the more loving, fun, loyal and amazing the cuddles. Am I right? Before we get too excited about the cuddles, there’s a lot to think about before choosing a large dog breed as your pet. 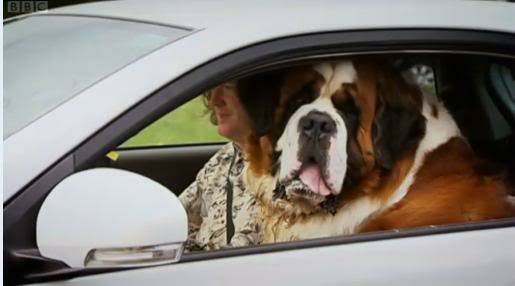 Generally, a large breed dog is one that weighs 55lbs/25kg or over as an adult. Breeds include Dalmatians, Rottweilers, Mastiffs, Greyhounds, Boxers, Golden Retrievers and German Shepherds. A giant or extra large breed will be 100lbs/45kg or over and breeds include St Bernards, Great Danes, Irish Wolfhounds, Black Russian Terriers and Newfoundlands. The right dog for you will depend on the breed's temperament, activity and exercise needs, grooming requirements and your lifestyle. Although many large dog breeds are social, calm and placid making them great for families, they may not be suited to families with very young children. 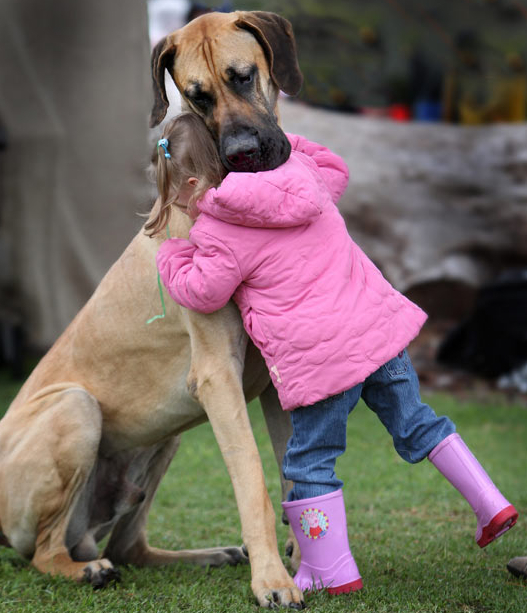 Because of their size, a large dog will easily knock down or unintentionally hurt a small child when playing. Large dogs have obvious and less obvious practical implications as pets. You need to have the room and space for an adult dog in your home, yard and car. Clearly everything for your dog will need to be large or bigger from food and water bowls through to kennels, beds, leashes or harnesses, toys and coats. These will be more expensive than the equivalent items for smaller dogs. Some apartments or houses won't rent to people with large dogs and some boarding kennels, hotels, camping and caravan parks will not allow large dogs. Large dogs will be able to easily access food, valuables, breakables or things dangerous to them such as cleaning products and medicines if left in the home on tables, shelves and benches around the home. Due to their weight and size, they are more likely to bump into, and potentially damage, furniture and household items. If you have a yard, are your fences high enough and strong enough? Will you be able to groom and bath your dog inside or will it need to be done in the yard? Will you need to pay to have your dog bathed and groomed? Are you able to properly care for a large dog and their needs? Do you have the strength to lift, assist and manoeuvre a dog of that size. Will you have the strength required for their life expectancy? Large dogs have higher health care costs as often anaesthetics and drugs are charged by the volume administered and that depends on the dog’s weight. Large dogs will also require the biggest dose or multiple doses of flea, worm and tick preventative treatments. There are some health problems common to large and giant dogs. Breeds with deep chests are more prone to bloat and gastric torsion. Hip and elbow dysplasia caused by stress placed on joints is common, as is arthritis. Large breed puppies are at greater risk of developmental bone and joint disease during their early growth stages. Feeding a large dog is going to be more expensive because they will eat much more. However, its also advisable to provide them with specialty diets to assist with metabolism, weight management and joint health. Exercise requirements will depend on the breed. As adults, some large breeds need less exercise than a small breed like a terrier. All dogs will need some daily exercise but the breed will determine whether a walk will suffice. A working breed like a German Shepherd will require more activity. Since large breeds are susceptible to joint problems, regular exercise is vital to keep them at a healthy weight and for muscle and joint strengthening and mobility. All dogs need to be trained and socialised but an excitable or disobedient large dog will be more difficult to manage. Their size and louder barks can be intimidating to other dogs and people. You want your dog to remain calm and under control so it’s important to start training early.